We offer retreats for scrapbooking, quilting, businesses and family events. Gather your quilting friends and head to one of our Minnesota Quilting Retreats! Three Minnesota retreats to serve your needs. If you are interested, please see the weekends and contacts below. Welcome to Hutchinson Countryside Retreats in Hutchinson, Minnesota. We own and operate three retreats within the Hutchinson, Minnesota area. Our retreats are located in the country, but close enough to town to pick up last minute supplies or a bite to eat. Our retreats have flexible layouts and have many different uses. Gather some friends and book one of our retreats to work on scrapbooking or crafting. Many of our guests use our retreats as a getaway for quilting and knitting. Take the team offsite for a meeting or an overnight brainstorming session. Bring the family to the country for reunions or gatherings. Mix up the holidays this year by booking a retreat for the whole family. Utilize our retreat spaces for church retreats, school retreats and more. Welcome to Hutchinson Countryside Retreats! 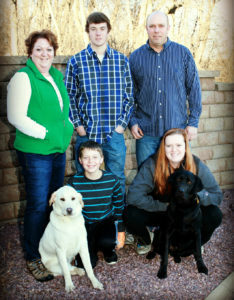 We are the Reiners, a farming family from Hutchinson, Minnesota. We opened our first retreat in 2007 and found the demand high enough that we opened two additional retreats, all within about one mile of each other. We strive to provide our guests with beautiful country retreats to escape from the day to day. We hope that you will visit one of our retreats soon. Hutchinson Minnesota is one hour west of Minneapolis. The city has a population of about 15,000 people. The Hutchinson community really offers something for everyone including award winning restaurants, quaint downtown shops, a thriving arts culture, recreational opportunities and more. 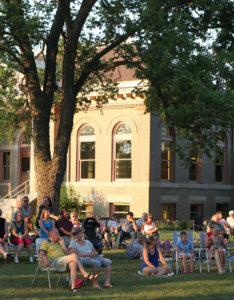 You will find plenty of activities and places to visit if you come to Hutchinson. Click here to see things to do.